The Lavendon Show takes place on 10th September 2016. 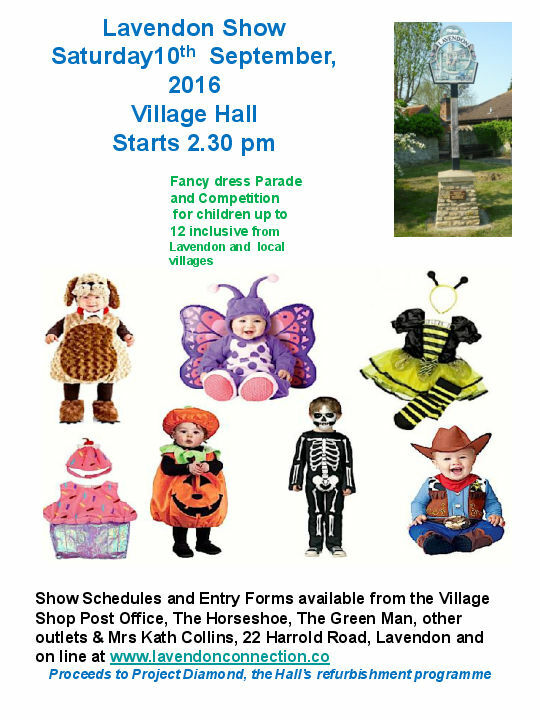 As usual there will be a Fancy Dress Competition for children age 12 and below, with prizes to be won. Judging will take place in the Village Hall and there is no fee for entering. Posted on Monday, 8 August 2016 by Editor •	This entry was tagged Events, Lavendon Show, Village Hall. Bookmark the permalink.